Missile and rocket attacks by Houthi rebels and Saleh loyalists are a credible threat to coalition interest and an effective political and military tool. Coalition counterforce operations have failed to defeat this missile threat. Coalition ballistic missile defense operations are also currently unable to deny missile operations or limit their damage. In contrast, U.S. sea-based cruise missile defense operations have effectively countered the anti-ship missile threat. Nonetheless, Yemen’s missile target system has considerable depth to cushion the impact of attacks against it, due to probable Iranian supplies and improvised domestic missile production. Offense-defense weapons employment guidance for weapons systems capable of defensive interceptor and offensive strike operations, such as the SM-6 missiles. Click here to download “Lower End” Missile Threats: The Case of Yemen. Ron Christman is a Senior Intelligence Officer at the Defense Intelligence Agency. He has 29 years of experience supporting defense planning, military plans, and operations. He was responsible for directing research on all land-based offensive missile forces worldwide for ten years. He served as the Deputy Director of the Regional Command West’s Fusion Center at Camp Arena, Herat, Afghanistan in 2013. 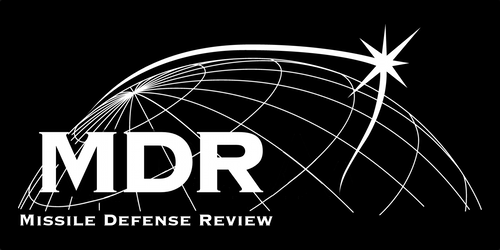 The viewpoints and opinions expressed in this article reflect solely the author’s personal views and opinions and do not represent the views of the Defense Intelligence Agency, the Department of Defense, or any other U.S. government agency. This entry was posted in Deterrence, Middle East, standard missile-6 and tagged al Qaeda, Arabian Peninsula, ballistic missiles, ISIL, missile defense, standard missile-6, Yemen. Bookmark the permalink. ← Denmark: Onboard with NATO Missile Defense?